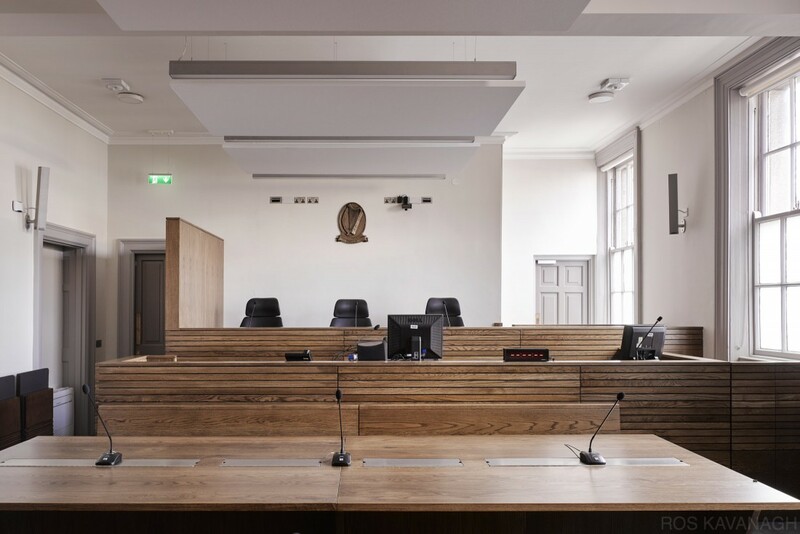 Court of Appeal | Ros Kavanagh. 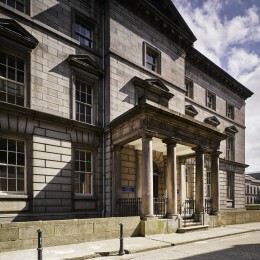 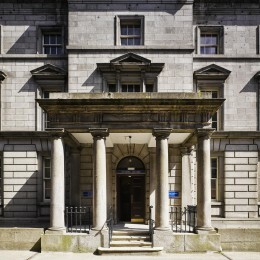 The Public Records Building in the Four Courts complex was chosen as the venue for the new court, its judges and some of its staff. 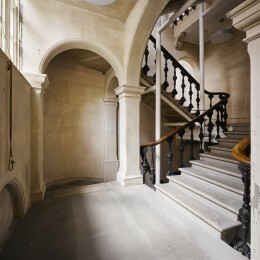 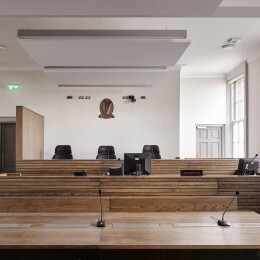 The existing courts in the building were re-housed in Áras Uí Dhálaigh following which an extensive refurbishment project commenced. 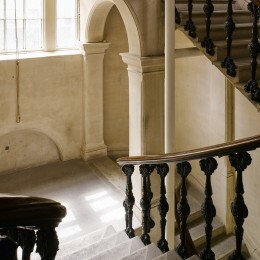 in 1995. 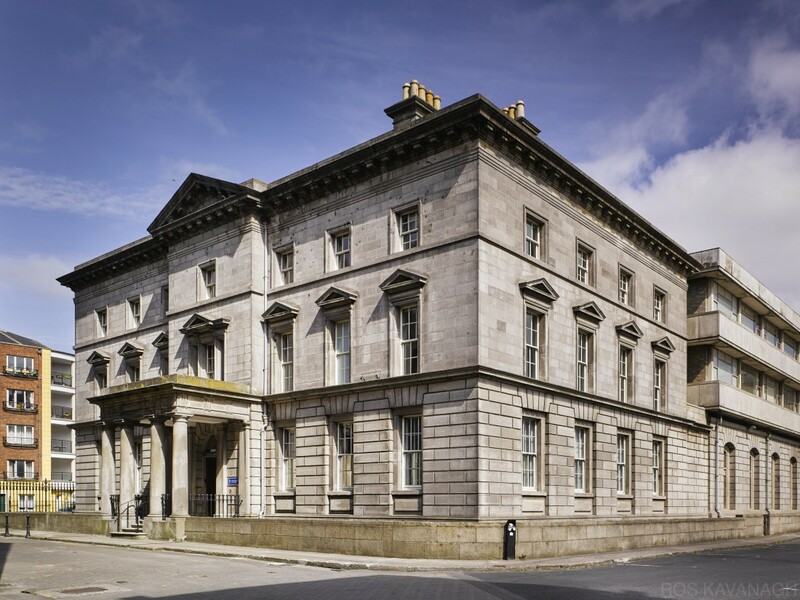 The walls are of broken coursed limestone at basement level and of ashlar granite elsewhere with timber sash windows throughout. 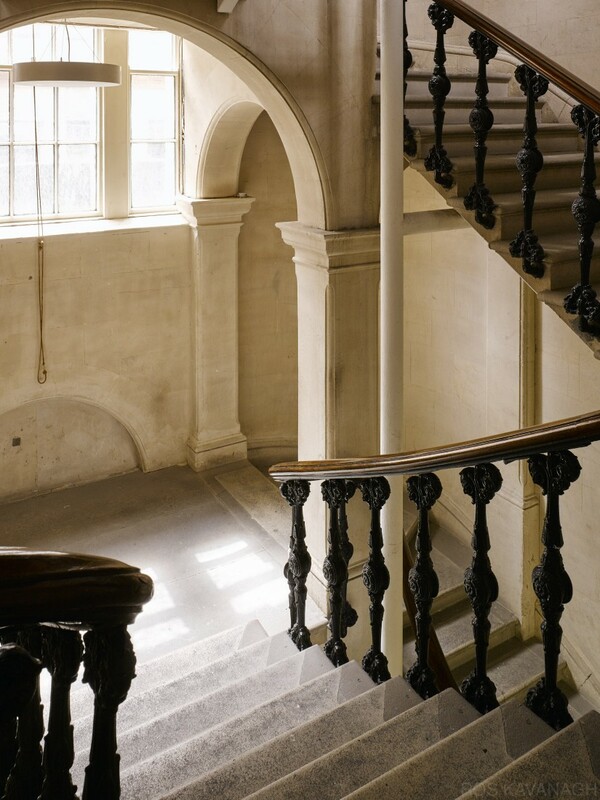 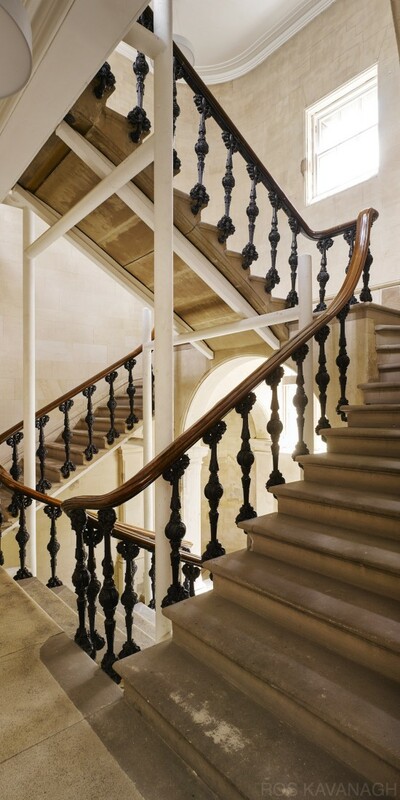 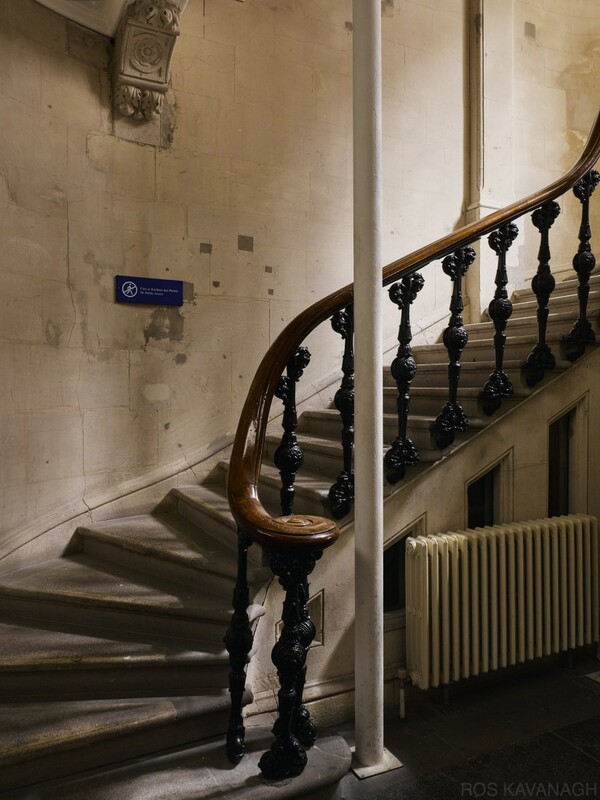 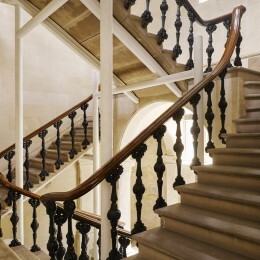 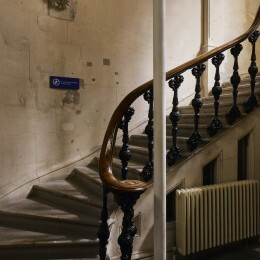 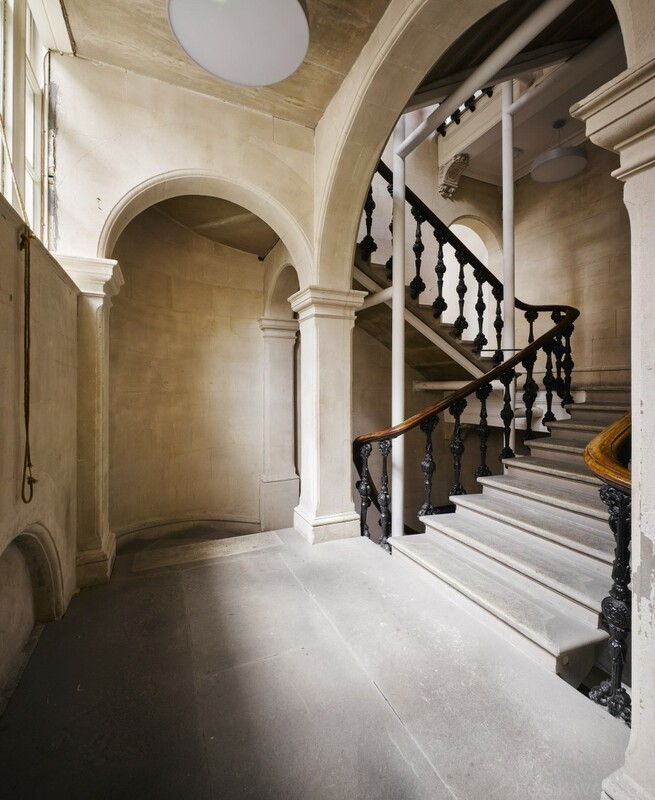 Being a protected structure located in the curtilage of other protected structures, the refurbishment works had to be undertaken in a respect- full manner so as to preserve the character of the building. 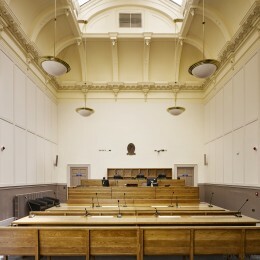 During the refurbishment works truss partitions were discovered on the rst oor of the building. 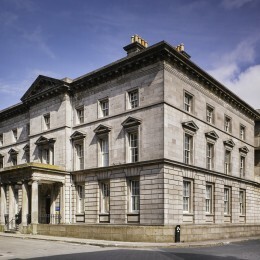 The partitions, in- lled with turf and brick, are a rare and have been preserved as an important architectural feature of this historic building. 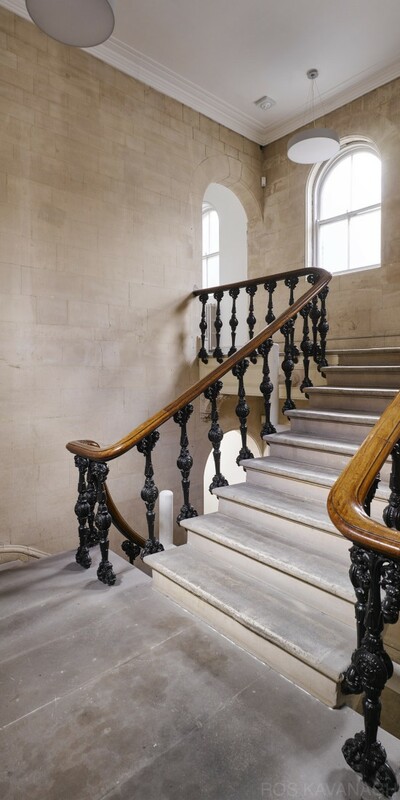 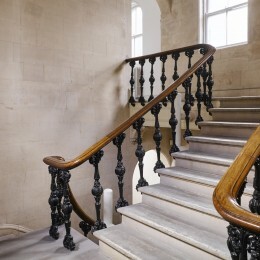 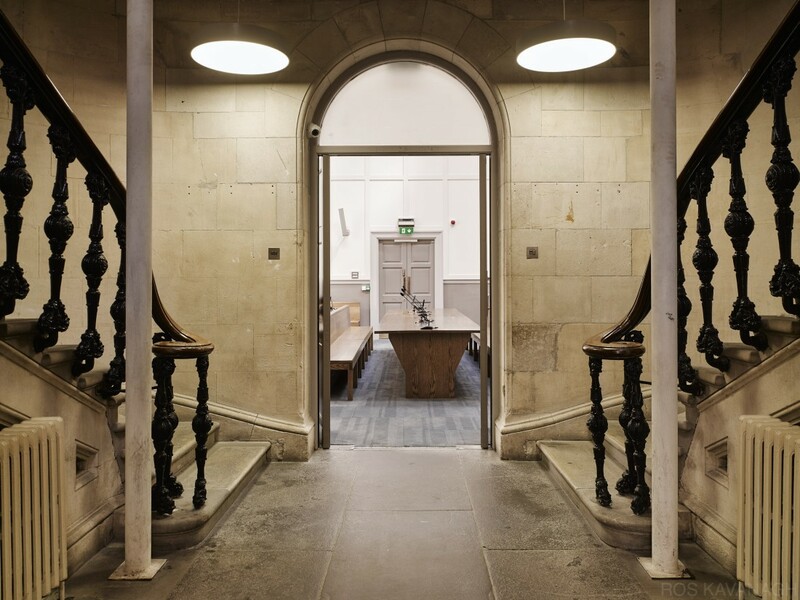 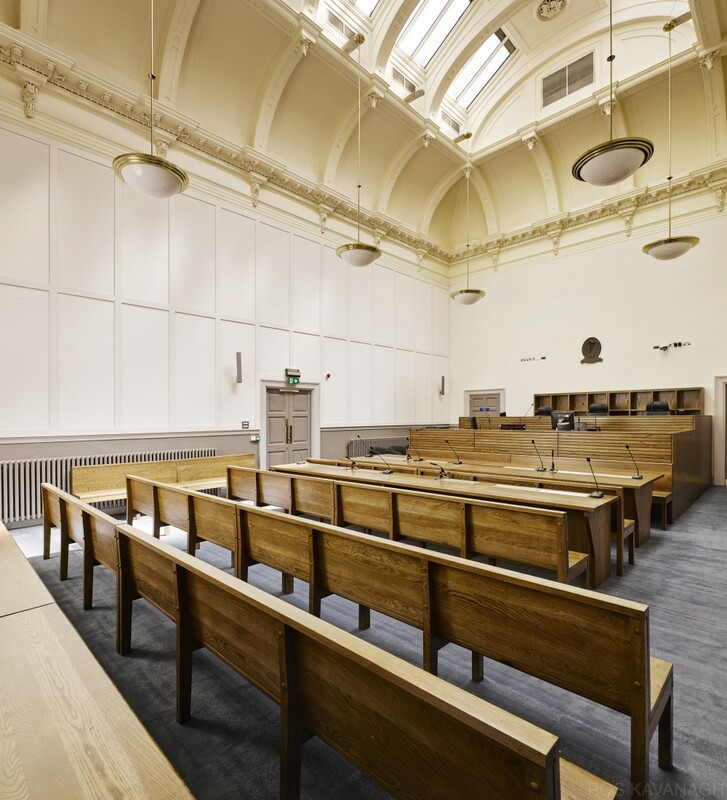 The initial phase of the project included the provision, on the ground oor, of two new courtrooms, meeting rooms, public, staff and universally accessible toilet facilities together with accommodation for the President of the Court of Appeal. 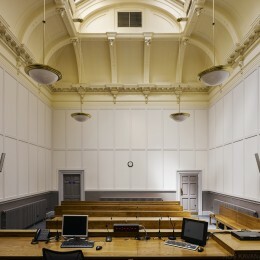 Accommodation for all judges was also provided. 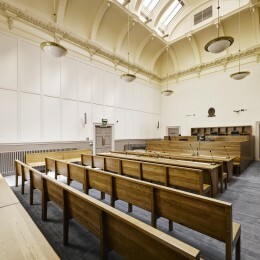 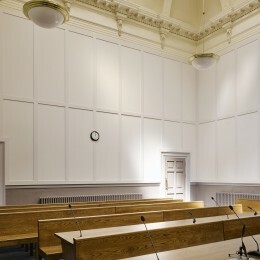 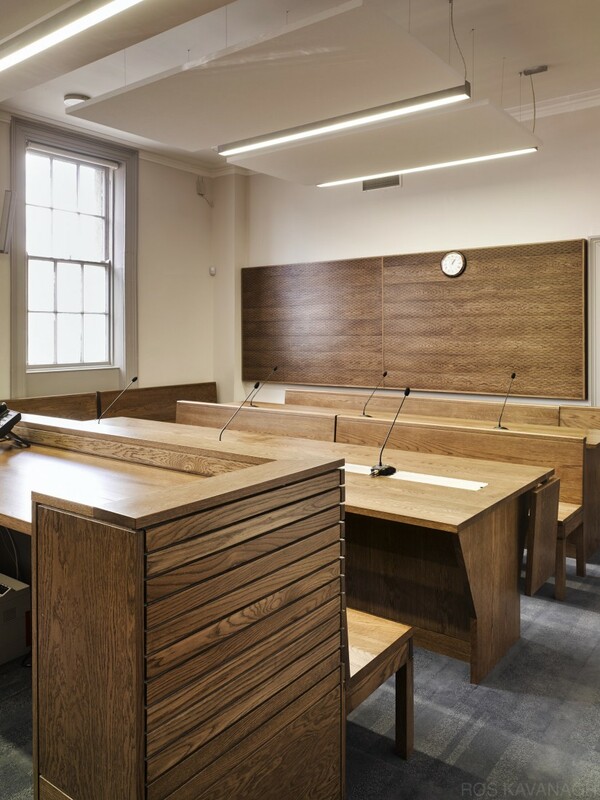 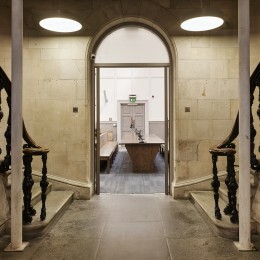 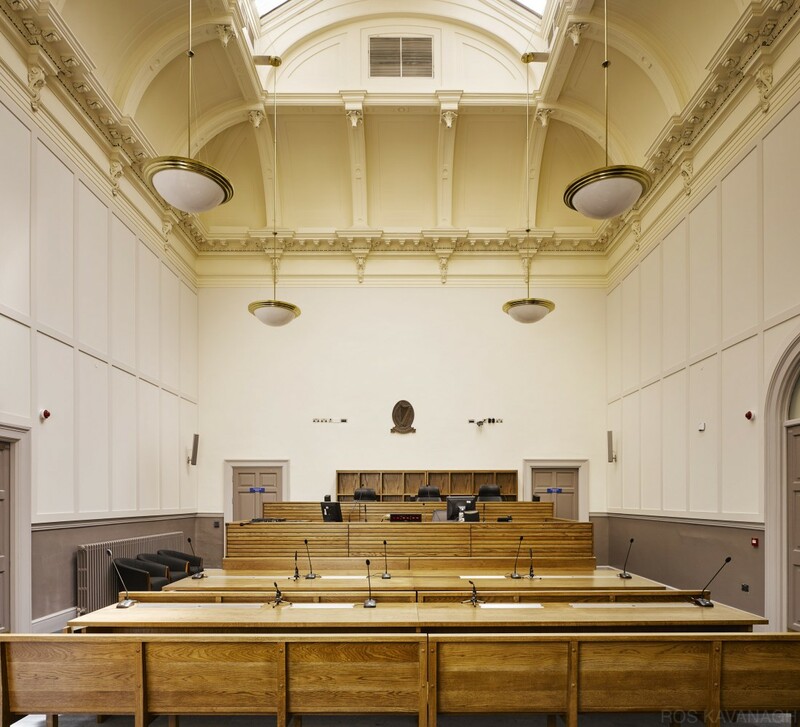 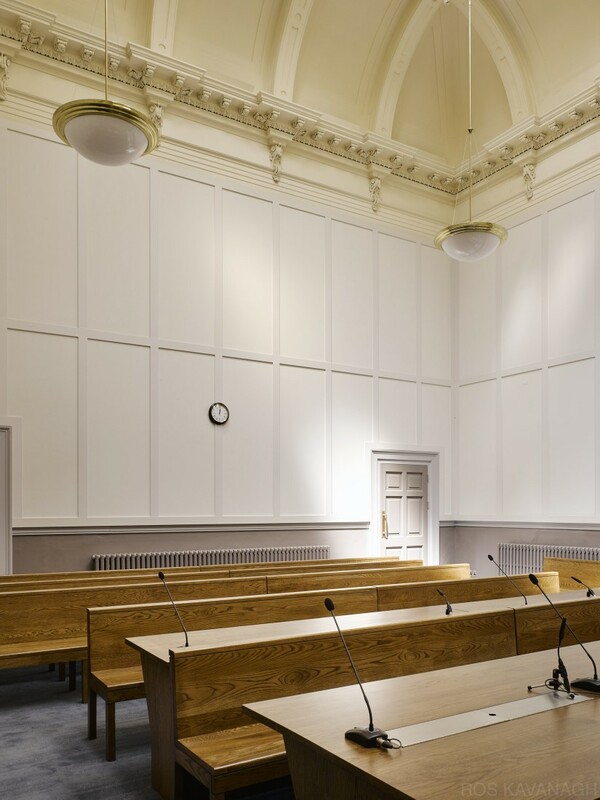 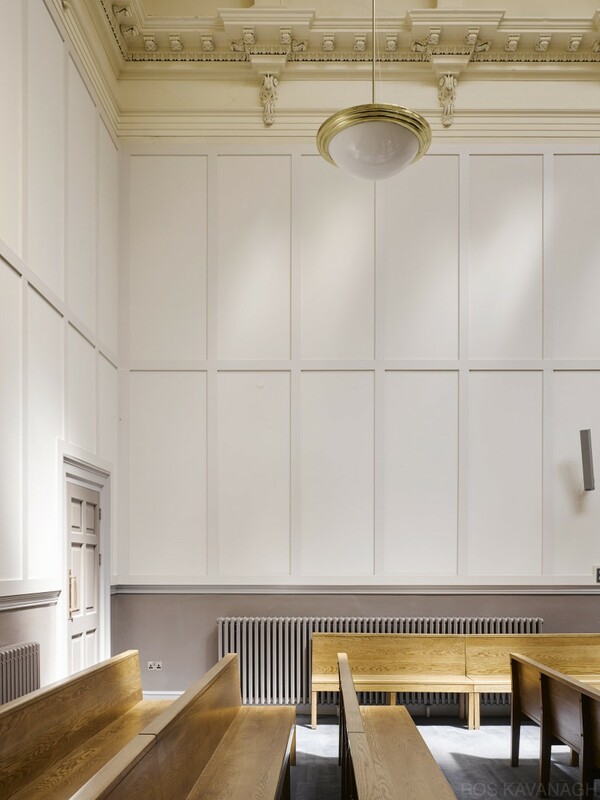 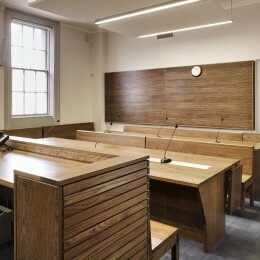 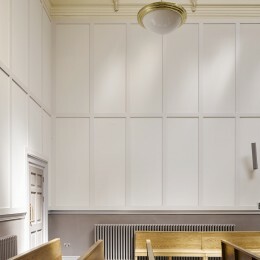 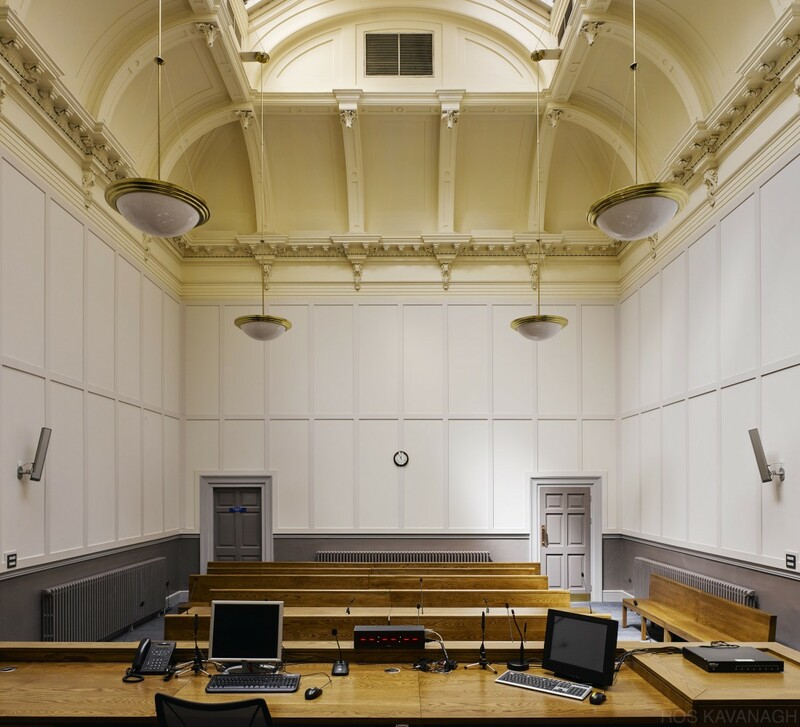 The courtrooms are fitted with new modern, high specification furniture and meet all relevant building regulations. 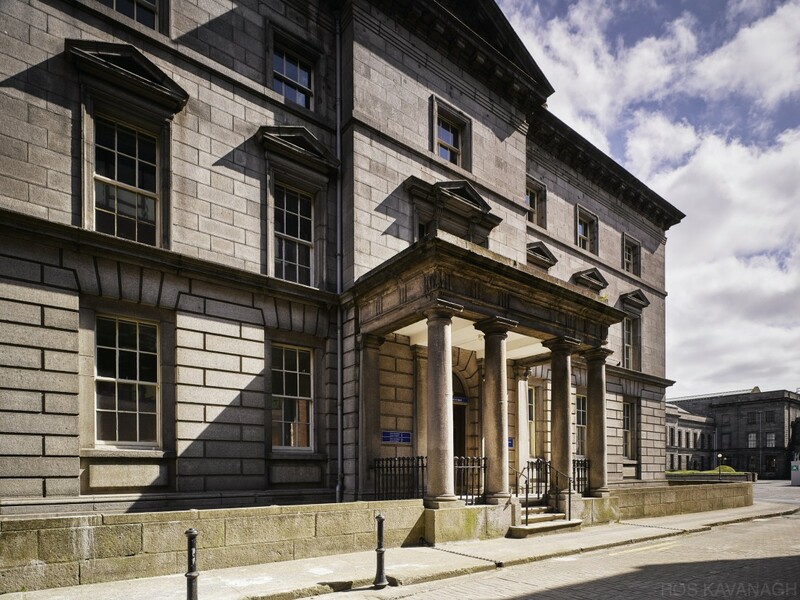 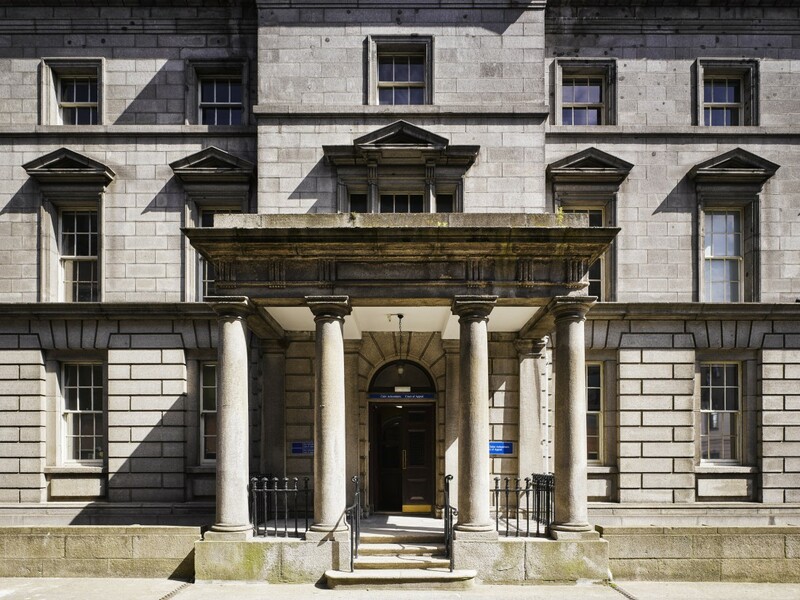 The second phase of the project included landscaping work to the front of the building, enhanced universal access, and a new entrance to Áras Uí Dhálaigh providing for ease of access between the two buildings including access to the Office of the Court of Appeal.